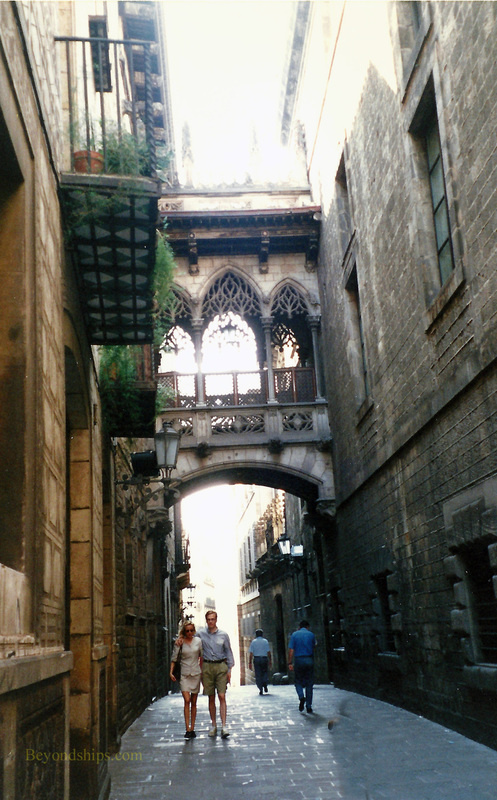 Barcelona's Gothic Quarter dates from Roman times and includes quite a few buildings from the Middle Ages. It is located in the Old Town, not far from the harbor. At the Placa del Rei, are the remains of a palace that was once the seat of the Counts of Barcelona, who ruled the city in the Middle Ages, and later of the kings of Aragon King Ferdinand and Queen Isabella are said to have greeted Columbus here on his return from the New World. Nearby is the Barcelona Cathedral. Also known as La Seu, it is more properly the Cathedral of the Holy Cross and Saint Eutalia. There has been a church on this site since 343 AD. The present structure was begun in 1298 and completed in 1460. However, the neo-Gothic facade was not added until the late 19th century. Another attraction of the Gothic Quarter is the Picasso Museum. Although Picasso was not from Barcelona, he spent considerable time here. The Museum houses some 3,000 of Picasso's works including some early realist paintings. Carcelona's history museum is also in the Gothic Quarter. Above: The Torre Mirador del Rei Marti (Watchtower of King Martin) at the Palaca del Rei (King's Palace). Above: An aerial view of Le Seu. 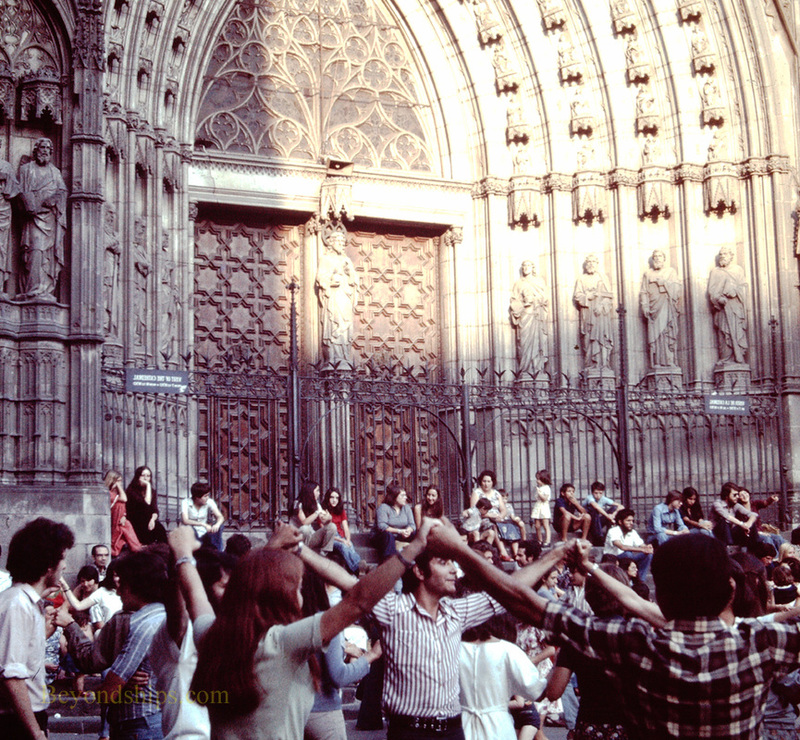 Left: Folk dancing in the square in front of the Cathedral.